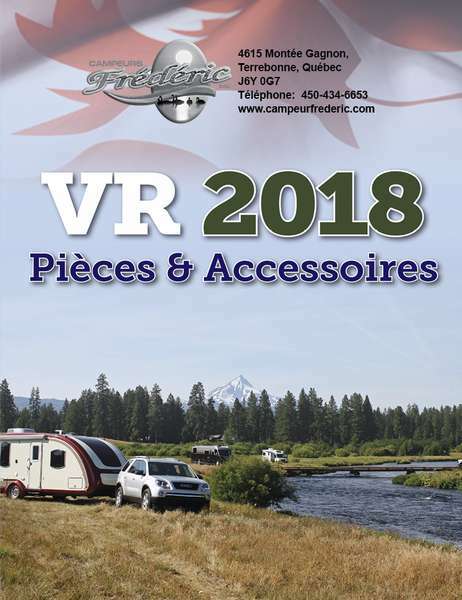 Come and see one of the largest spare parts and accessory inventory for caravans, fifth wheels and all other RVs in the province of Quebec. Thanks to our huge selection of spares parts for RVs and our experienced specialists, you are guaranteed to find all you need to repair your RVs or improve your camping experience! The Parts Department at Campeurs Frédéric maintains a comprehensive inventory of high quality genuine OEM parts. Our highly knowledgeable staff is here to answer your parts inquiries. Should we not carry a part for which you're searching, we can always order it for you and receive it within a timely manner.